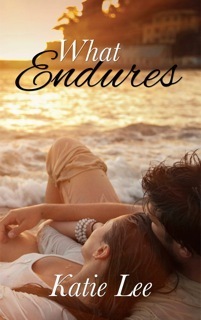 What Endures by Katie Lee. This book is more emotional and real to me than I can describe. 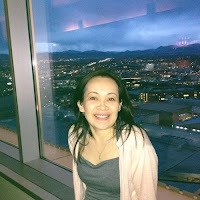 Six weeks after I married my husband, he had a motorcycle accident and he didn’t know who I was. He thought it was the same year he had his wisdom teeth removed. That had been years prior. Funny thing- the brain is! It has a way to protect itself. Anyway, although what happened to my husband’s brain was different than what happened to Jason’s brain in the book, the results are the same – Life is forever altered. I had to stop many times. My emotions were all over the place. I felt for the couple in this book struggling to figure out what to do and how to go on. It is hard and no matter what road you were on before, you need to take another road to continue on. As I write this, I have tears rolling down my cheeks with all my memories. Enough of that! We start off with Jason waking up after an accident and being in a coma. He has lost the last 15 years of his life. He is a professional and very attractive baseball player. He has a broken family. He doesn’t remember his memories of both good and bad times. The doctor warns Megan, his fiancée, that she shouldn’t tell him his memories, especially of their engagement. If she does, he may feel overwhelmed and “He may feel trapped in a life he doesn’t remember or that he has to fulfill some role that he no longer knows or remembers” He also said “it has always been best to let the amnesiac either rediscover those lost memories or to simply forge new ones.” There was a lot more, but Megan took it well and decided to move out of their home and let him try to remember on his own. She didn’t tell him anything about their relationship other than that they were good friends. Ugh! Not me, I wanted to slap her for listening. OK, I wouldn’t and I didn’t tell my own husband everything but I sure let him know enough about us and let him work through it with my help. I hurt so badly for her because I knew personally what she was going through. I knew it was a book I was reading, but I took it personally. Jason is lost and his memories of his early years were not good ones of his family or his stepbrother Tyler. Tyler is now good friends with Jason. Jason doesn’t know how to process that either. He doesn’t remember how they got to be friends when they grew up fighting. Jason is off baseball for now since he is in a cast and in PT. He is desperately trying to piece together his life. He feels comfortable around Megan and wants her to be there all the time. Megan builds a wall around her heart because she doesn’t know what to do and is afraid he won’t love her. Then they go through some rocky times before they get to an agreement to give Jason some answers about his life. Slowly, she lets Jason in and Jason is figuring out what he feels for Megan. The ending almost threw me for a loop. (What does that really mean anyway?) I got nervous about what was happening in the end. I wasn’t sure what would happen and my heart was pounding waiting for the answer. But you will have to read it to see what they each do with their lives. Sometimes in life you have to make compromises. I love this book. But I think I am a little biased based on my own experience. I think anyone who likes to read about someone overcoming odds and figuring out what to do with their lives would enjoy it. I hope to read a story about Tyler next. I guess I will have to wait and see if there will be one. Looks amazing read. I must check about this book. This looks like a really good, one I would love to read!